The Knights of Columbus Hockey Association has designed a ring program to recognize and celebrate the outstanding contributions to our hockey program by players. These treasured mementos give the players an immediate entrance into an exclusive club and provides the KC Hockey Association the opportunity to formally thank and honor the recipients for their years of participation in our hockey program. 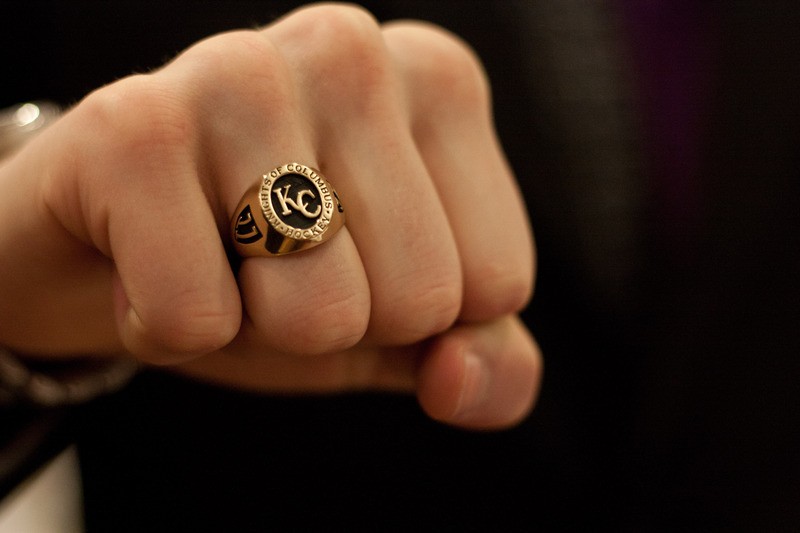 In order to be awarded a ring at the KC annual banquet, a player must be a graduating midget in the KC midget program and have played the last 6 consecutive years in the KC program. Should a Graduating Midget player leave the Knights of Columbus hockey program for a single season to play on a team in a league in which Knights of Columbus does not participate, and the player has participated for a minimum of eight seasons in the KC Hockey program, this player would be eligible for a KC Ring. All fees must be paid in full in order to be eligible for the ring.